The recent allegations of abuse involving Penn State have shaken the nation. In response, a grassroots network of PSU alumni have started a movement - #ProudPSUforRAINN - to support victims of abuse and help Penn Staters display their true values by contributing to RAINN. This courageous effort will help ensure that something like this never happens again - anywhere. "After having so closely identified with all things Penn State over the past 15 years, the recent events have shaken our beliefs - and those of other alumni - to the core. Simply put, Penn State is way bigger than the alleged actions of a few people. To honor the victims, our goal is to raise over $500,000 - one dollar for each of Penn State's 557,000 alumni. Please join us in showing the world what being a proud supporter of Penn State really means by making a donation in support of preventing and treating victims of sexual abuse and by adding your name to mine below." Please support this important campaign by adding your name, making a donation, and joining the conversation on twitter at #ProudPSUforRAINN. In the fight between good and evil, good has just fired a major salvo. myfoxphilly.com has reported that "there may [now] be as many as 17 accusers coming forward against one-time Penn State University defensive coordinator Jerry Sandusky." This is the monster who could have been stopped in 2002, when an eyewitness actually saw a sexual assault against a boy estimated to be about 10 years old, and four other people in authority at Penn State were told of what he witnessed, and none of them called the police. I woke up this morning with a certain image in my head. I may have dreamed it, actually. It was of a courtroom, and the rows were packed with young men who had been victimized by Sandusky, (unknown how many after 2002, when five grown men could have stopped him and didn't). There were two or three rows of victims. May there should be two or three, or more, rows of victims and their families in the courtroom at some point, maybe at the verdict reading. Then maybe the people who could have stopped Sandusky in 2002, and did nothing, could see the holocaust they enabled. And yes, I did just use that word, and I intend to stand by it. He could have been stopped in 2002. That's the main thought throbbing through my mind tonight. He could have been stopped in 2002. If you don't know what I'm talking about, here's a good place to start. It should have been stopped in 2002. Happy New Year! $0.99 is the new sale price for For Cory's Sake the e-book--let's get that out of the way. At least that is the price on smashwords; other retailers may mark it up differently. I've mentioned in various places that I work in retail. Well, Christmas season was so busy that I suddenly feel like I have so much time, now that the season's over. I've been spending a lot of this newfound time thinking about my book and my characters. I want to write about them, some more; and write about other things I've been thinking about. So new content should be coming to the blog, and in the meantime, there is this news: For Cory's Sake (the e-book) is $0.99. All royalties will still be donated to organizations that help abused, neglected or exploited children, and I will continue to spotlight these organizations and their issues. Up Next: "So, I was watching this documentary. It mentioned the federal debt. I thought, 'I guess I can kinda sorta understand how some people can think we "can't afford" certain initiatives. But on the other hand, if we do hold back, will we be able to afford certain consequences?'" 't'will be these thoughts, in more words. Follow-up: So HOW can we cut health care costs by reducing violence? In a previous post, I wrote that both academic studies and front-line health care workers show that: "our national health care costs would be significantly reduced if we could become better at preventing/reducing violence in our society." The next obvious question seems to me to be: "so how do we prevent/reduce violence in our society?" I would like to quickly show you on to a very enlightening post on the Larry King Live blog. It was written by Anne Lee, President & CEO of Darkness to Light, an organization which educates adults on how to prevent, recognize and respond to sexual violence against children. Her blog post succinctly tells the why and how of preventing and reducing violence. "As a nation of taxpayers we spend over $35B annually for the long term cost of child sexual abuse." "Unlike other issues and diseases where we need to raise hundreds of millions and billions of of dollars to go into a laboratory and one day find a cure--the cure, the end of sexual abuse is right in front of us." Read about the cure. We can prevent needless human suffering. Sam and Corrin: Escape from "Vegas"
Between laying down and falling asleep, Roci makes up stories in his head. This is one of the personal traits of mine that I wrote into one of my characters. Between laying down and falling asleep, nearly every night, I think about the lives of imaginary people. I usually think about these people in the context of a scenario; which develops into a scene; which multiplies into multiple alternate scenes. The alternate scenes smash together; they meld together; their individual pieces pull on each other and combine; some pieces fall out as by-product. (I'd love to visualize the process as solar flares, but it's probably more like a chemical reaction in a beaker) My head is a beaker full of reacting fictional elements. Most of what goes on in my head stays there. (Huh, a Las Vegas commercial just popped into my head) Much of it is about borrowed characters--Batman, Frodo, Brock from Pokemon . . . Much of it isn't to any point. I don't see the point in writing out pointless scenes; and I do see the point in keeping my Batman fan fiction to myself. For Cory's Sake, though, was different--more original and meaningful to me; surprisingly cohesive and long-running; and finally, very insistent about getting out. It was beyond insistent. It got a wire hanger and picked my double lock of laziness and inertia. I actually began to write out my ideas as consciously ordered words in a word processor. I kept on writing, eight hours a day for a while. I finished a complete first draft--about 300 pages of beginning, middle and end-type stuff. I revised, rewrote, revised and published, and it all felt very compulsory. I can say that I know what "compelling" feels like. A story woke me up and pulled me out, like an eager pup taking its "master" out for a run. An exhilarating (and exhausting) run, I'll add. Now, I've been paying more attention to an older pet story, lately. Its characters existed and were doing things before Roci, Kerry, William, Jeffrey, etc.x 4 were ever born. And I've decided to take this one out for a walk; see where we'll go. So I'm writing again--I guess that's the big announcement. The two brothers are Sam, who is 19 at the moment, and Corrin, who doesn't know how old he is. 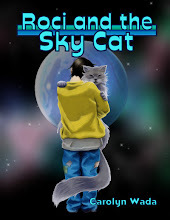 By the end of our journey he'll know, and I'll know a lot more too, and will hopefully see fit to share where we've gone within the pages of a newly published (on Smashwords, at least) book. This month, President Obama filled out an NCAA Tournament bracket that, if looked at from one angle (focus on the middle), was even worse than mine. Oh, and he signed health care reform into law. Bear with me, Buddy Bear, and visualize a tree, please. It has roots and a trunk at the bottom and then it, um, branches out into branches. So now, these trees we're visualizing have roots at the base, and bunches of branches, all big and pretty, up top. Now I think I learned in sophomore high school biology that important stuff does occur in the branches. I think the leaves collect stuff, like light and carbon dioxide and Easter bunnies (anyway, stuff) and I think bees visit the flowers and do things and then you get apples or stuff . . . I will not discount the importance, or fail to acknowledge the beauty, of the branches. But I also know, from my experiences of seeing dead trees, that if you get an ax or a chain saw and chop or saw away at the trunk of a tree, and yell "Fore!" (no wait--"Timber!") and all the branches come crashing down together, their connection to the roots severed--well, that does it, right? Those branches aren't good for much more than composting the forest floor or feeding a fire or being decked with lights and decorating a living room for a month or four. My point being that the roots are way essential. 10 Georgia Tech667 Oklahoma St. See?--roots and branches. Now, super important (and wildly entertaining) stuff does happen in those far outside branches, no doubt about that. But the really momentous stuff, where you (living vicariously through athletic young people) get to wear super-significant hats and T-shirts and use a Werner ladder as a pedestal and do press conferences wearing a net as a necklace, happens in the middle part, which--climbing back down from the metaphoric branches--we are going to have to call the "root" of the whole matter. Now honest, all this root and branch and bracket talk really is leading to an interesting health care thought. It's not my thought. I am a member of the Utah Valley Exchange Club, and we frequently hear presentations from individuals who are doing interesting and important things to improve our community and our world. This morning, we heard from Susan Chasson, Sexual Assault Nurse Examiner Coordinator (SANE-C?) for the Utah Coalition Against Sexual Assault. Susan has years of experience as a nurse practitioner; a law degree; and a part-time faculty position at BYU. Based on her years of experience and her observations, Susan knows that our national health care costs would be significantly reduced if we could become better at preventing/reducingviolence in our society. In her experience, people who have been exposed to or experienced violence in their lives, are significantly more likely to experience chronic headaches, chronic abdominal pain, chronic back pain, substance addictions, health fallout from bad lifestyle decisions of all kinds, and so forth--even years and decades after the adverse experiences. Susan shared with us about several studies which support this idea (links to follow). So people know, both experientially and academically, that violence in society is a key contributor to a lower level of physical well-being in a society. Reverse the idea again, and becoming better at preventing/reducing violence will improve public health and lower our national (and individual, you know) health care costs. But I really like the idea that we could so strike at a major root cause of a major issue. It gives us a point of attack. We have an understanding: violence hurts our health. We have an action item: preventing/reducing violence will improve our health and lower our health care costs. And as in basketball: competent execution of a philosophically sound game plan can lead to a whole lot of happy in the Health Arena too. If you don't like to read study reports, here is a 4-minute video via "someone on Twitter." Author's royalties are donated to . . .
Are the Bentlers "real"--or did Roci make it all up? 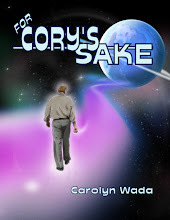 For Cory's Sake is my fantasy novel, about a planet called Cory and one family's struggle to free it from slavery. Cory's themes were influenced by a real-world issue; and I also blog about this real-world issue, with a focus on awareness and action. I've bookended the sidebar with Awareness and Action. On the bottom, a Google News stream based on the search term "child abuse"--reminds me that the problem is real. Featured at the top are organizations that are "doing something about it." All royalties, from sales of For Cory's Sake, are donated to programs that serve abused, neglected or exploited children. And just for fun and fantasy, Cory's main family hosts their "social network" on this blog as well. Jeffrey usually instigates, and you can usually count on him to keep things light--his sibs don't call him Fluffrey for nothing! Finally, if you enjoy micro-blogging and the openness of the Twitterverse, I yak in 140 characters or less about writing; "who's doing what" to help kids; whatever American sport is currently in season; and my cat--@ForCorysSake.